Attractions in Lexington, Kentucky keep popping up. The region is widely known for its picturesque views, outdoor recreation, and diverse businesses. Lexington features an array of attractions year round while merry-go-round people find every reason a good reason to enjoy and celebrate. The City"s entertainment industry is rapidly gaining momentum; hence the need for new arenas, theater complexes and sports arenas has become indispensible. But, attractions like Rupp Arena have put Lexington on the map for making both locals and visitors falling in love with the events the Arena brings for them to the region. Rupp Arena"s year-round events give keen pleasure to the music-addicts, sports-aficionados and entertainment-lovers alike. Located in downtown Lexington, Kentucky, Rupp Arena is a home of the Men"s Basketball team for the University of Kentucky. But other teams like UK Hoops and the University of Kentucky Women"s Basketball team also play their games at the site. Besides basketball, the arena is also a home to the Horsemen of arena football. Rough estimates show that each year seasonal basketball events in Rupp Arena draw over 350,000 fans, while football brings a growing audience each season. The average annual attendance for all events at Rupp Arena is over 850,000 visitors. A centerpiece of Lexington Center, Rupp Arena was named after UK coaching legend Adolph Rupp. The history of Rupp Arena dates back to 1976, when it opened its doors as the biggest arena built specifically for basketball games in the country. The year 1985 saw the site playing host to the NCAA Final Four. The NCAA Final Four title was won in an upset by Villanova. Since then, Rupp Arena has hosted several NCAA Tournament regional matches. Most recently it hosted NCAA Tournament in 2007, where Louisville lost to Texas A&M. The facility"s primary occupant is the Kentucky Wildcats men"s basketball club, while the club leads the country in NCAA basketball attendance on annual basis. Also has seen at Rupp Arena in recent years an increased number of the women"s basketball team games. The site also formerly hosted the Lexington Men O' War hockey teams and the Kentucky Thoroughblades. Rupp Arena features Lexington Horsemen arena football with a capacity of 7,550 seats, theater with 2,300 seats; concert hall with 10,000 seats; and arena with 23,500 seats. 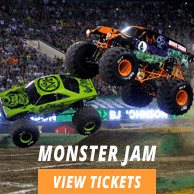 In addition to featuring basketball and football games, the arena also hosts numerous concerts, trade shows, family events as well as motor sport events throughout the year. Rupp Arena is dedicated to providing a complete range of sports and entertainment events. Needless to say the attractive tenant architecture, great interior and amenities, and impeccable acoustics together make every performance memorable. The City of Lexington is proud to be a home of the state-of-the-art Rupp Arena which is characterized distinctly primarily for one reason: it caters to a wide variety of audience with different tastes. Be it a regional or national sports events, theatrical performances, concerts, or family oriented shows, the Rupp Arena offers something for everyone. Rupp Arena is going to pack with fans again as it has scheduled thrilling games and eclectic performances while featuring best teams and world-renowned artists. So, if you have not visited the site recently, take a look at its schedule and make sure to grab your tickets to the event of your choice before they all sell out! The average Rupp Arena Tickets price will cost you between $121 and $1152, if you are looking for the cheapest seats then catch the event being held at the Rupp Arena, Lexington on 11/05/2019. The average ticket will cost you the highest on 01/06/2019 at the Rupp Arena, Lexington. Minimum get in price is for Rupp Arena Tickets is $32 for the event being held at the Rupp Arena, Lexington on 29/04/2019 , there are some venues that have a much higher get in price, for instance the cheapest seats at the Rupp Arena, Lexington on 26/04/2019 will set you back $56. Where can i find jeff dunham cheap rupp arena tickets with a discount code? Find tickets of choice only at TicketLuck; your best source of low-cost premium event tickets. Browse our huge inventory to find cheap tickets for Jeff Dunham event and contact our Livehelp Representative to know our exclusive discount code. I want to attend the myley cyrus rupp arena lexington kentucky concert! Can I buy cheap tickets to it form Ticket Luck? Would you guys have them? Our huge inventory has the tickets to almost any event taking place, all at a very cheap price. You can purchase cheap Rupp Arena tickets from Ticket Luck anytime you want! Do you have the exact seat numbers to Celtic Women at Rupp Arean Lexington KY tickets? I want buy tickets for disney on ice in rupp arena in lexington ky but wanted to know if i would require one for my 3 year old? Yes, you will be needing Rupp Arena Tickets for Disney show for your 3 year old. Under 3 kids don't require a ticket. I need miley cyrus nov 19th 3 tickets at affordable rates. Worry not. You can find all kinds of affordable Miley Cyrus tickets right here at our website. Thanks. Where can I find cheap rates for rupp arena tickets? We are known for providing cheap rates for Rupp Arena tickets on the entire web. Book yours today! Where do i find + discount + attraction + tickets + kentucky? Find them all only on TicketLuck; your best source of providing premium event tickets! Will the view be clear at the rupp arena tenn? Rupp Arena Tickets bought from us assure you that the view will be clear. Are there any free miley cyrus tickets for dec 1? Visit our Miley Cyrus page to find out the availability of the tickets. When is miley cyrus concert lexington ky going to open? Go to our Miley Cyrus page to find out the concert details.